After the dissolution of Balochistan assembly, government and opposition could not finalize the name of caretaker Chief Minister (CM) of the province. Six inconclusive meetings took place between CM Abdul Quddus Bizenjo and opposition leader Abdul Rahim Ziaratwal. Both the participants presented up to 8 names each in the initial meetings but there could not be consensus on any single name. As a result, the process of selecting caretaker CM shifted to next stage and a parliamentary committee was formed. Parliamentary committee comprised of three members of Balochistan Awami Party (BAP) who are representing government and one member each from PML-N, National Party and PkMAP. 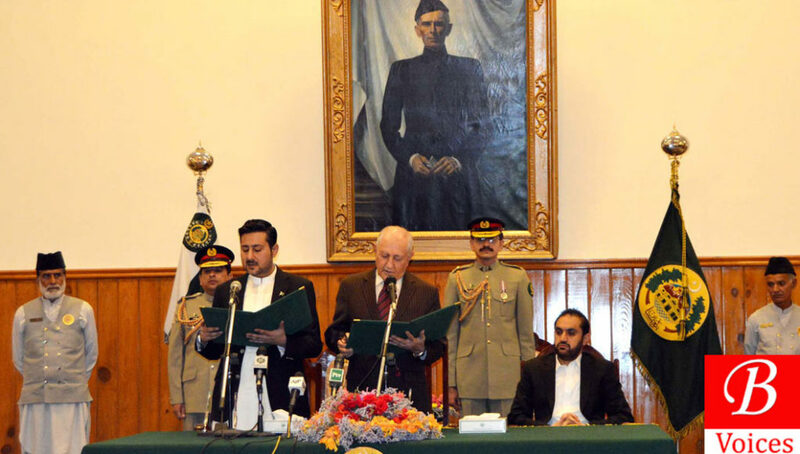 Former two CMs of Balochistan, Dr. Malik Baloch and Nawab Sanaullah Zehri were part of the parliamentary committee. The committee was mandated to choose one name from the four finalized names which were Allauddin Marri a friend of CM Balochistan, Shoukat Popalzai President of Balochistan Economic Forum, Ashraf Jehangir Qazi former Ambassador of Pakistan to U.S and Aslam Bhotani former Speaker of Balochistan Assembly. Parliamentary committee was supposed to finalize the name of caretaker CM within three days. Just when it was felt that finally the name of caretaker CM will be finalized, CM Balochistan decided to boycott the parliamentary committee. CM Bizenjo argued that opposition leader has not consulted all opposition parties while selecting members of opposition for the parliamentary committee. This claim was rejected by former CM Sanaullah Zehri who is representing opposition in the committee. Then the process moved to the third phase and Election Commission of Pakistan (ECP) had to decide the name of caretaker CM of Balochistan. Both government and opposition believed that if they managed to bring their nominee as caretaker CM then it will be beneficial for them in elections. This might be an exaggeration because during the caretaker government it’s ECP who has the real power and it call the shots. Caretaker CM can’t even transfer officials without the permission of ECP. Finally, on 7th June, ECP selected Allauddin Marri, nominee of government, as caretaker CM of Balochistan. Shahzada Zulfiqar, a senior journalist who has covered elections in Balochistan since 1988, told TNS that delay in selection of Caretaker CM is primarily due to the procedure laid down in the constitution. “Constitution has laid down strict rules for selection of Caretaker CM to ensure that an impartial person holds the office and that is causing the delay,” He said. He claimed that there was lack of consensus among opposition as well on their nominee for caretaker CM and that also resulted in delay. Moreover, it was reported in Balochistan edition of a national Urdu newspaper that Nawaz Sharif is the reason that Balochistan could not finalize the name of caretaker CM yet. The report claimed that Former Prime Minister has instructed opposition in Balochistan to block caretaker CM nominee of government parties at all costs. This report was not denied by provincial chapter of PML-N in Balochistan. Zahoor Buledi, Senior Vice President of Balochistan Awami Party and a candidate for Balochistan assembly from Kech district, said that delay in selection of caretaker CM is not unusual. “Government and opposition have not reached consensus on the name of one person and it’s pretty much normal,” He told TNS. The week long delay in selection of caretaker CM, the constant U-turns by both government and opposition and the speculations of conspiracies proved that Balochistan is still going through political turmoil. This turmoil started on 2nd January this year when rebel members of PML-N led coalition tabled a no-confidence motion against then CM Zehri who had no choice but to resign on 9th January. The only way to end this crisis is to conduct general elections on time in Balochistan. However, the brewing political crisis is making the election process uncertain in Balochistan. Next article18th Amendment: Devolution in Balochistan?